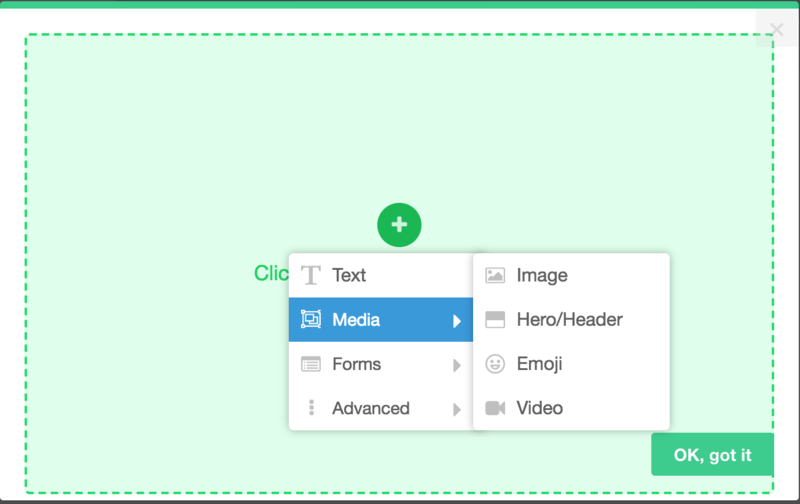 Adding rich media, like images, GIFs, and videos, to your flows is easy with Appcues. Let's walk through how you can add media to your flows! 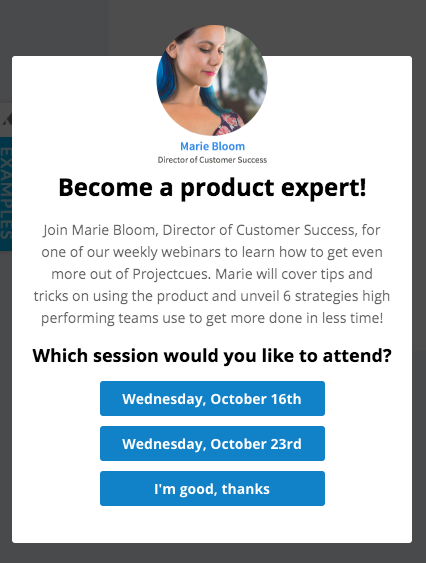 In a modal or slideout, add media by clicking the green circle icon containing the '+' sign to open the menu. 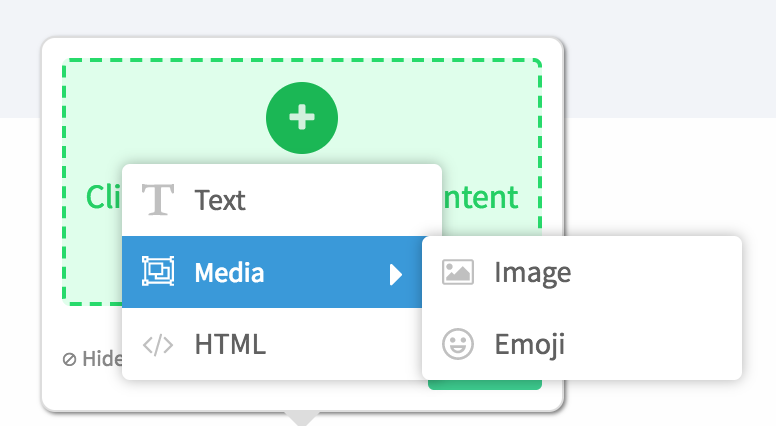 From this menu, you can add emojis, videos, and images into your Appcues flows. 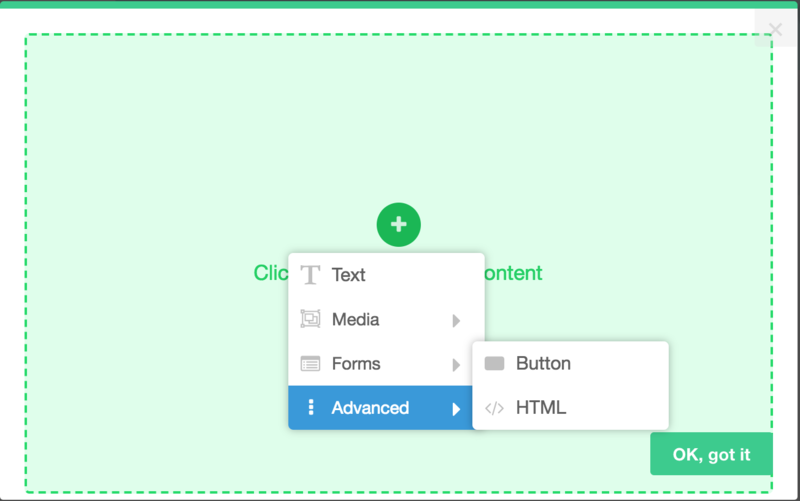 If you need to add HTML, hover over the advanced section to select HTML. The menu for Tooltips and Hotspots is also accessed by clicking the green circle icon. For images or gifs, select "image" to drag and drop in the file. For videos, paste the video embed code into the HTML section. Keep in mind, for security reasons, Appcues will block scripts that are placed inside our content. GIFs are a great visual to include in an Appcues flow. They are effective for building motivation and explaining core parts of your UI. However, they can also be very large files and take a long time to load. We recommend keeping them below 2MBs.